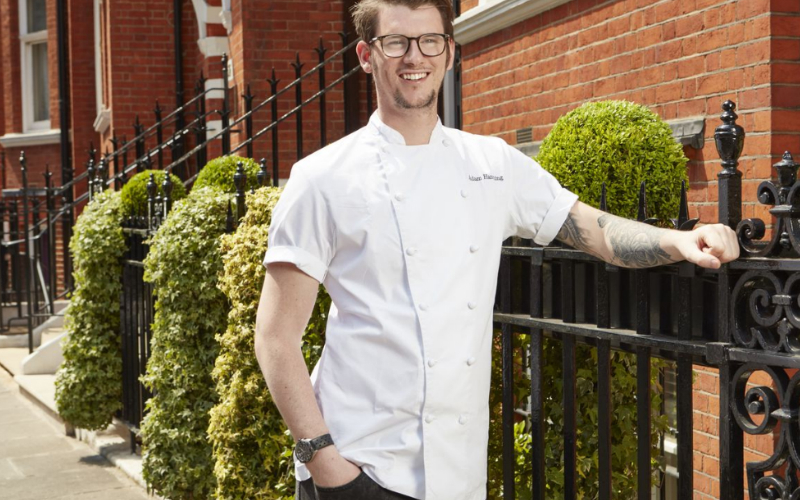 Adam Handling is taking on the role of Chef Patron at the Belmond Cadogan Hotel and that means he’s in charge of the restaurant, tea room, bar and room service. His modern British style and sustainable approach will span all these areas. As well as catering for hotel guests, the restaurant Adam Handling Chelsea will be a standalone space with its own street entrance. Some of his signature dishes, like the cheese doughnuts, will make an appearance on the Chelsea menu, alongside the likes of Highland wagyu beef with braised onions and smoked bone marrow, and scallop ceviche with green tomato. Both the afternoon tea and the breakfast offering are set to be decadent. The afternoon tea, inspired by childhood memories of his grandma’s house, will feature treats made daily in the 24-hour in-house bakery, whilst breakfast guests will get a box filled with fresh bread, crumpets and pastries as soon as they sit down. On the drinks side, the main bar will serve up classic cocktails made using British ingredients and British cheese and charcuterie selection. And rather than a regular minibar, the rooms will have bottled British-themed cocktails made at Adam’s bar lab in Hoxton inside, and Adam is working on an extensive room service menu. The Belmond Cadogan Hotel has a rich heritage – it was known as Oscar Wilde’s home away from home and it’s also where Lillie Langtry courted the future King of England Albert Edward – and with Adam looking after the food and drink, it’s going to have a modern edge.